Greetings and Salutations to you! Carol Baxter here, putting on my exposé hat. Not just love, CRAZY LOVE. In fact, she has a secret stash, ahem, obsession. Guess what? Some of her color wheels aren't wheels! Entire sheets of paper can barely contain her glee for mixing color triads. Adding black and white to create tones and shades within those triads? Well, she is in her bliss. 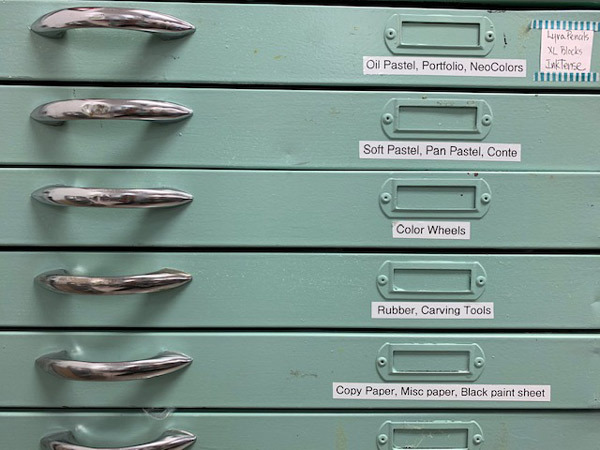 How long will it take until Mary Beth's drawer of color wheels is overflowing? 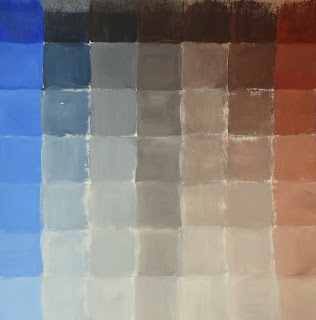 New to color theory (as I was) and want a whole bunch of ah ha! moments? 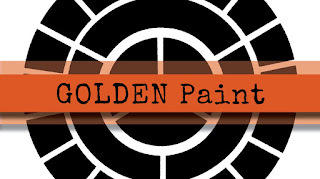 Itching to take a deep dive into understanding color theory, texture, and creating abstract paintings with stencils? 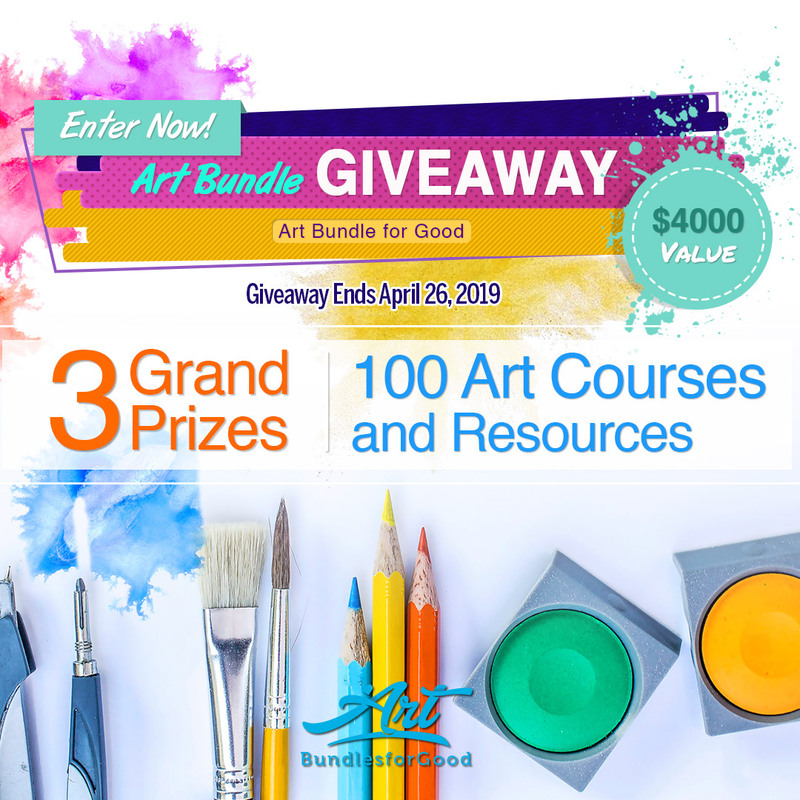 Now is a perfect opportunity for you to elevate your art skills! "This is the class I wish somebody would have given me years ago when I first began painting," Mary Beth says. 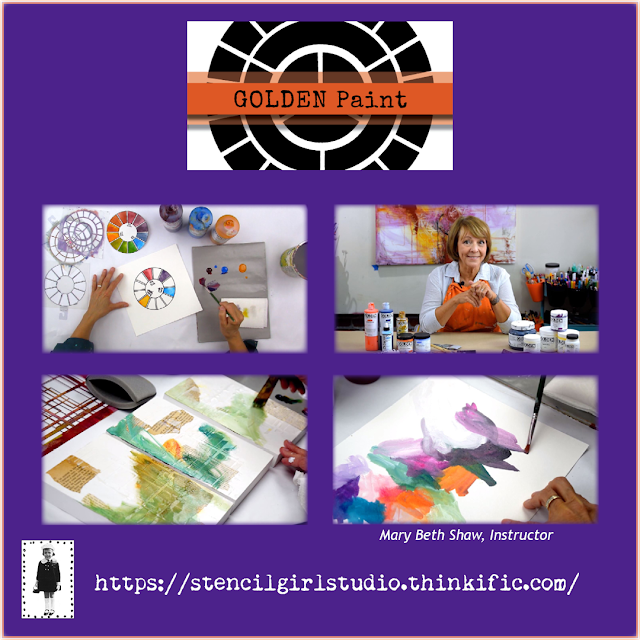 Throughout this course, we will explore the terminology, techniques, and tools used in the world of GOLDEN Artist Colors. You will learn about: the differences in and how to use multiple mediums, how to mix colors to get different effects, adjusting the value, and so much more. You will learn directly from Mary Beth Shaw, her special tips and tricks that will help you achieve the look you desire over the course of 8 videos and 3 PDFs (You can download the PDFs). 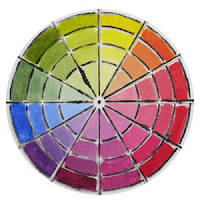 Once you understand color, you'll never make mud again unless it's on purpose! 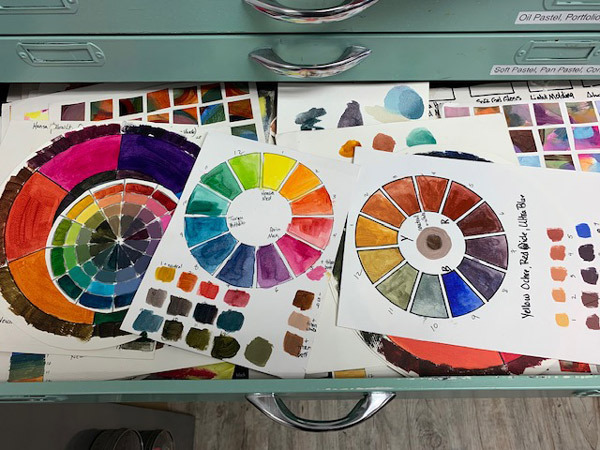 How long will it take you to catch up to the riot of color wheels in Mary Beth's stash? Oh my gosh, this is a must take for me. I have learned so much from MaryBeth in other classes but this is the one I totally need. Will the lessons apply to products by other companies as well? 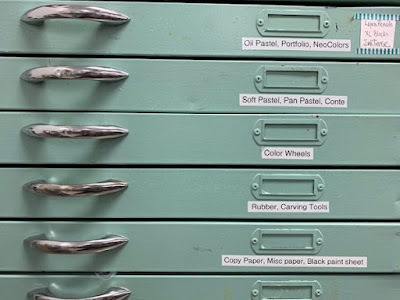 Mary Beth Shaw said that's a GREAT idea to create StencilGirl Studio courses with products from other companies...like Seth Apter with his Baked Textures from Emerald Creek Craft Supplies combined with StencilGirl Stencils. Thank you for the suggestions!